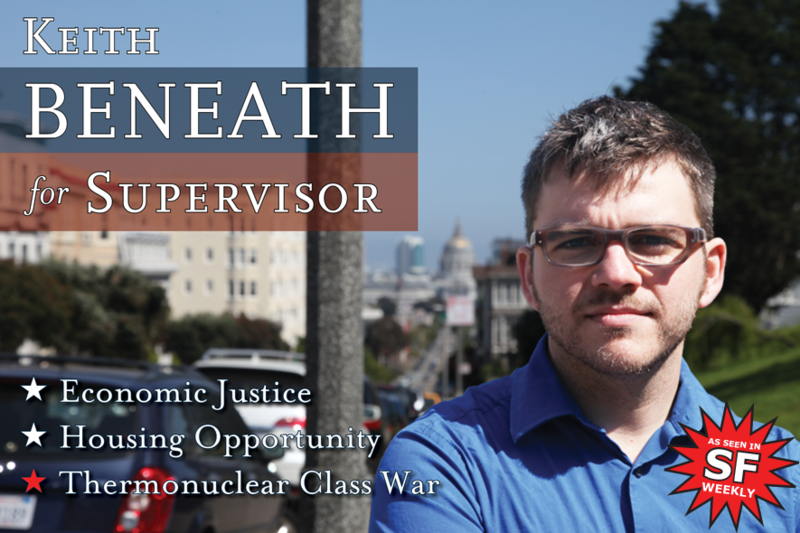 Beneath added he hopes to convert empty office space into community housing and increase tenant protections for working people. He promised these goals in addition to his campaign promise of nuking Silicon Valley. One reporter questioned whether nuclear fallout would wreak havoc on the city. Keith Beneath dismissed the question. 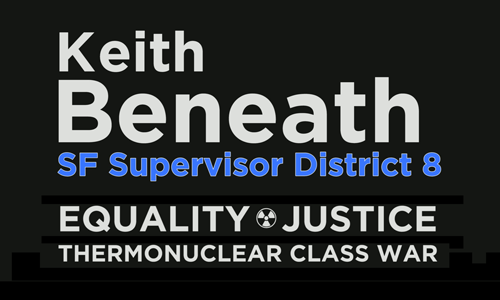 “Residual radiation exposure is a small price to pay for freedom,” Beneath opined, adding that “advanced weapons can target the wealthy exclusively.” “Think of it like extracting a tumor,” he said, circling Atherton and Palo Alto in red pen on the battlefield map behind him. Despite being a grassroots movement, Beneath stated that the fundraising was off to a strong start, in part because of the consistent obliviousness of the techies glued to their phones, many of whom could barely lift their necks while being mugged.